Clean water is our passion! We offer summer camps and educational programs for kids and teachers here in Chattanooga. To collaborate with island agencies to teach children about their connection with nature and to empower them to be leaders in the protection and restoration of their local environment, particularly the coral reef. Unlike environmental organizations that attempt to effect change from without, the Caribbean SEA works to make a difference from within. Our organization seeks business leaders from island nations who will sponsor local environmental projects. Caribbean SEA staff and volunteers then train local educators and students to design, implement, and monitor projects that conserve the local marine ecosystems. Through these efforts, the next generation of leaders will protect the environment which provides economic stability to the islands. Caribbean SEA has seen much success since our founding in 2004! Part of that has been to include work in the Tennessee Valley, through our subsidiary, Tenne-SEA Clean Water Project and our outdoor gear re-sale shop, The Gear Closet. Through collaboration with the electric utilities, government entities, resorts, and community groups, thousands of students and teachers are more attuned to conservation of their local resources. 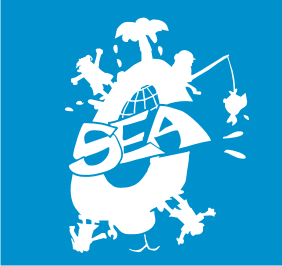 The main office of Caribbean SEA is in Chattanooga, Tennesse. We also have an office in St. Lucia from which our Program Director works. Look through these pages to see students at work and how YOU can help us further our mission . . . to put students in charge of protecting their environment. We collaborate with many other organizations, without whom our mission would not be achieved. Among those are Belize Community Conservation, CYEN, Belize Shark Project, Ecologic Divers in Belize, Lee’s Reef Project and the Curacao Tourist Board in Curacao, Water Resources and Sustainable Development, The National Trust, The Durrell Trust, CYEN, Mango Beach Inn, Complete Marine Services, St. Lucia Dive Operators Association, Soufriere Marine Management Association, and The St. Lucia Tourist Board in St. Lucia, Archbold Tropical Research and Education Center, Rotary, and Domlec in Dominica, and JECO Caribbean in Grenada, as well as Project Learning Tree, PADI and Project AWARE. Everyone brings an integral piece to help our puzzle be completed. Caribbean Student Environmental Alliance partners with Ti Kaye Resort & Spa to launch Kids 4 Coral 2014: an underwater swimming/snorkeling expedition for kids in Canaries.